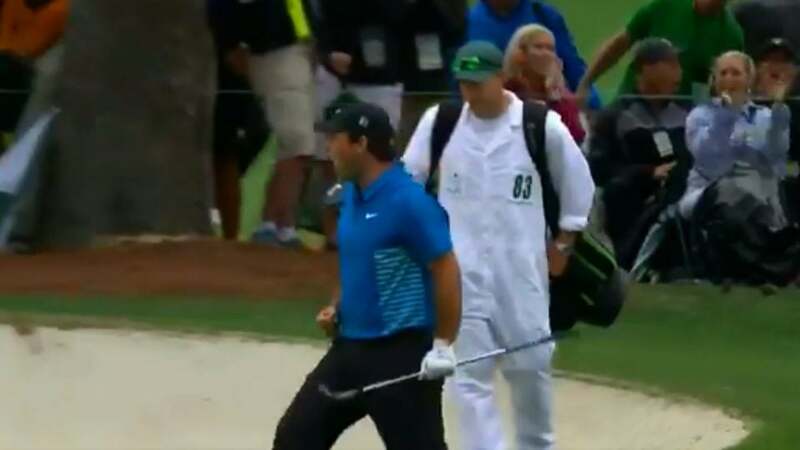 Patrick Reed celebrates his chip-in on the 15th hole on Saturday. Patrick Reed has been cruising all day during the third round of the 2018 Masters at Augusta National, but things went into overdrive on the back nine. Reed, who started the day with a two-shot lead, maintained his lead over the front nine, despite charges from Rickie Fowler and Rory McIlroy. An eagle at the par-5 13th hole gave him some breathing room. Then came the par-5 15th. Reed hit an incredibly risky second shot into the green from over 250 yards, but it just cleared the creek and hung up near the front right greenside bunker. Staring down a lengthy chip shot, Reed knocked it into the hole for another eagle. The shot moved Reed to 15 under, and at the time gave him a five-shot lead over McIlroy.